The UFC has two events this weekend, and it kicks off with the finale of the 28th season of The Ultimate Fighter. In this season, middleweight champion Robert Whittaker squared off as a coach against his upcoming UFC 234 opponent, Kelvin Gastelum. 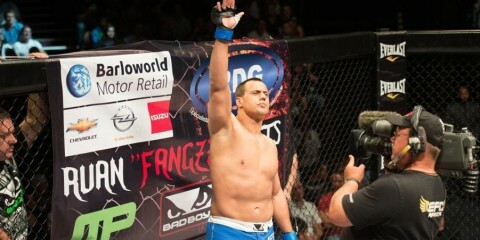 The fighters on this season competed in the men’s heavyweight division and the women’s featherweight division. In the men’s heavyweight final, Team Gastelum’s Justin Frazier takes on Team Whittaker’s Juan Espino. The women’s featherweight TUF champion will be determined when Pannie Kianzad takes on fellow Team Gastelum fighter Macy Chaisson. The card not only features bouts to determine this season’s winners, but also a headliner between welterweight contenders Kamaru Usman and Rafael dos Anjos. Usman is coming off a victory over world-class jiu-jitsu player and former title challenger Demian Maia. Dos Anjos looks to rebound from a loss to Colby Covington in an interim title contest in June. The winner of this fight puts themselves near the top of a short list to be the next fighter to attempt to take the welterweight belt away from current champion Tyron Woodley, while the loser will remain in the middle of the crowded 170-pound division. The men’s bantamweight division also takes a prominent position on the TUF 28 Finale event when Pedro Munhoz meets Bryan Caraway. 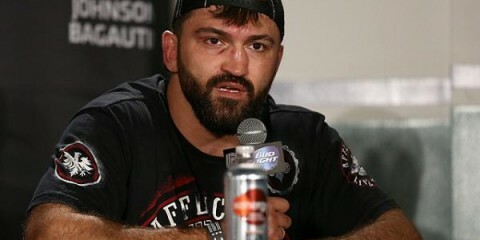 Munhoz is coming off a victory over Brett Johns on the preliminary card of UFC 227 in a tremendous fight that was overshadowed by Henry Cejudo’s upset over Demetrious “Mighty Mouse” Johnson for “Fight of the Night” honors. 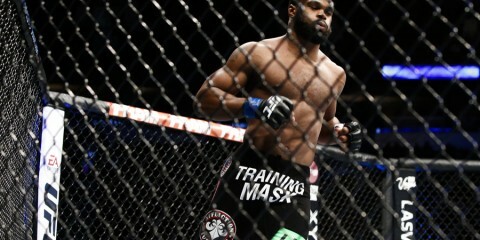 Caraway, meanwhile, is looking to rebound after dropping a close, somewhat controversial, split decision to Cody Stamann in March at UFC 222. The loss stopped a two-fight winning streak for Caraway, who has seen limited action in the Octagon over the past couple years. Caraway seeks to get back on track against Munhoz, a world-class black belt in Brazilian Jiu-Jitsu, as each man tries to climb into the top 10 of the rankings before the close of 2018. The event takes place at the Pearl at the Palms Casino Resort in Las Vegas on Friday, Nov. 30. The action kicks off on UFC Fight Pass at 6:30 p.m. ET. It then moves to Fox Sports 1 for the televised portion of the preliminary bouts at 8 p.m. ET and stays on the network for the main card at 10 p.m. ET. Combat Press writers Bryan Henderson and Matt Petela break down the action in this edition of Toe-to-Toe. Kamaru Usman has been a force in the UFC’s welterweight division. Can he follow a win over Demian Maia with a victory over Rafael dos Anjos? If he wins, does he become the top contender in the division? Henderson: Usman has eight wins inside the Octagon. 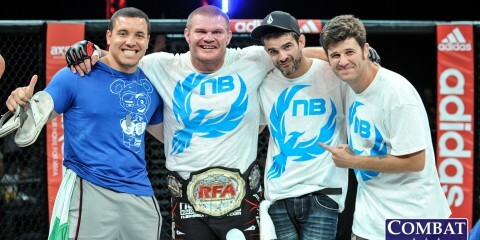 He also picked up two exhibition wins on The Ultimate Fighter. Tack on three wins during his Legacy Fighting Championship tenure, plus a professional debut win with the Resurrection Fighting Alliance, and there’s no doubt Usman has always been destined for success. Usman is an NCAA Division II national wrestling champion, too, and yet he also has six finishes by knockout or TKO. His list of UFC victims beyond Maia includes Leon Edwards, Warlley Alves, Sean Strickland, Sergio Moraes and Emil Weber Meek. He’s been very effective throughout his career, and his only loss came in his second pro fight. So, while dos Anjos might seem like a tough task, Usman appears to be up to the test. “RDA” has only lost to the best of the best. He recently dropped a decision to Colby Covington that cost him the UFC interim welterweight title. However, the Brazilian is a former UFC lightweight champion. His only recent defeats in the 155-pound division came to Khabib Nurmagomedov, Eddie Alvarez and Tony Ferguson. We’re talking about an elite fighter across two divisions here. If Usman does win this fight, he definitely would become the division’s top contender. However, let’s not get ahead of ourselves. Usman might finally hit a wall when he meets dos Anjos. “RDA” is a far different fighter from Maia, whom Usman recently beat. Maia can tend to get one-dimensional or simply come out flat. Dos Anjos, on the other hand, is a black belt in both Muay Thai and Brazilian Jiu-Jitsu. He’s skilled at fighting wherever the action takes him, and he won’t sacrifice offense by turning to desperation takedowns or a cautious stand-up approach. Petela: It’s back-to-back fights against Brazilians for Usman, though Maia and dos Anjos have different strengths and post different threats to the Nigerian standout wrestler. Dos Anjos is pitted against the opponent who is most like his last foe inside the cage. Covington is a former Pac-10 champion wrestler and NCAA Division I All-American. Usman earned NCAA Division II All-American honors all three years he spent in college at the University of Nebraska at Kearney. The question going into this fight is whether “RDA” can thwart the pressure of Usman and remain away from the side of the cage and off his back for most of this fight. Dos Anjos is no slouch in the grappling department, so if he does end up in a close-range, grappling situation with Usman, then he will be able to use his counter wrestling and jiu-jitsu to keep himself out of real danger and get the fight back to a more comfortable distance. “RDA” isn’t the submission ace that Maia is, but he is a more well-rounded fighter with very few deficiencies in his game. The Brazilian should be able to hold off the constant pressure of Usman far more effectively than Maia did. In what has become one of the most overused phrases in MMA recently, this fight comes down to “there’s levels to this.” The Brazilian’s skill set was a level behind Covington in their contest, but he will show himself to be a level ahead of Usman and get back to his winning ways at his new home of 170 pounds. Dos Anjos will force Usman back into the middle of the pack of welterweight contenders. The Ultimate Fighter: Heavy Hitters has set the table for finals in the men’s heavyweight and women’s featherweight divisions. At heavyweight, Justin Frazier meets Juan Espino. At women’s featherweight, it’s Pannie Kianzad against Macy Chiasson. Which two fighters emerge as the latest TUF winners, and will either of them ever become champions in the UFC? Is there anyone else from the show that especially deserves a spot on the UFC roster? Petela: Frazier will take home the crown of TUF 28 heavyweight winner. He has two losses on his record — one in 2012 to current UFC heavyweight contender Derrick Lewis and one at Bellator 120 in 2014 to Mike Wessel — but he is a much-improved fighter since those days. He demonstrated as much this season. At 29 years old, he should not only be able to defeat Espino, but also carry that momentum into his career in the UFC and become a contender before too long. Throughout her run with Invicta FC, Kianzad has shown to be right on the cusp of the elite level in MMA. She should walk away with a victory over Chiasson. Chiasson is no slouch, as she proved with her first-round TKO of Leah Letson. This should be an entertaining and closely contested fight that may not be the last time these two meet in the thin women’s featherweight division. Henderson: The men’s heavyweight and women’s featherweight divisions are among the most shallow in terms of depth on the UFC’s roster. It figures that the organization would attempt to inject some new talent into them via its reality series. It wouldn’t be a shock to see Kianzad and Chiasson joined by fellow TUF participants Julija Stoliarenko, Leah Letson and Larissa Pacheco as UFC signees. On the heavyweight side, Frazier and Espino could be joined by semifinalists Michel Batista and Maurice Greene, both of whom earned stoppage victories in their quarterfinal bouts. We’ve seen before on TUF that it’s more about the present than about past resumes. When it comes to the actual finals, the women’s featherweight scrap simply feels like the bigger fight. Cristiane “Cyborg” Justino and company need some new opponents, and the combo of Kianzad and Chiasson will produce the biggest of those new foes. The 26-year-old Kianzad is a veteran with a 10-3 career mark, but she had her struggles with Invicta. She suffered through a three-fight skid in which she dropped bantamweight affairs to Tonya Evinger, Raquel Pa’aluhi and Sarah Kaufman. Granted, those are all solid fighters, but Kianzad was stopped by two of them and decisioned by the other. Kianzad, who made her way to the finals with decision nods over Katharina Lehner and the aforementioned Stoliarenko, benefits here from a pairing with a far less experienced fighter in Chiasson. The 27-year-old only has two pro fights, plus a 6-2 run as an amateur. Chiasson suffered one of her ammy losses to top featherweight Felicia Spencer, but she’s also only managed wins as a pro against a rookie and a one-fight veteran. She was more effective than her counterpart while competing on TUF, where she blasted Pacheco in the quarterfinals and knocked out Letson in the semifinals. She may still be green, but her finishing abilities might just give her the chance to win the TUF crown. It’s difficult to get quite as excited about the heavyweight men. It’s probably because of the endless string of prospects through the years who appear capable of cracking the top 10, right until they face a veteran just outside of those rankings. So many of these big men have fallen flat. Frazier, who scored a decision over Anderson da Silva and a TKO of the aforementioned Batista en route to the finals, has a 10-2 record at the pro level, but regardless of any improvements he’s made, it’s going to take a lot to erase the memory of a defeat at the hands of a middling vet like the aforementioned Wessel. The 29-year-old lacks any notable official wins, too. Espino decisioned Ben Sosoli in the quarterfinals and dropped the aforementioned Greene in the semis to book his spot in the finals. The Spaniard has a slightly better 8-1 record, and he even notched a win over UFC castoff Rodney Wallace. His only loss came to Vitaly Minakov, arguably the best heavyweight outside of the UFC/Bellator realm. However, he has also topped an opponent who entered their contest with an 11-40 pro mark. Color me unimpressed. Frazier should be able to secure the TUF championship, but he’ll struggle to make headway in the UFC’s heavyweight division. At least Chiasson might one day contend for a strap, but don’t count on the same from the heavyweight men. Antonina Shevchenko, Edmen Shahbazyan, Roosevelt Roberts, Chris Gutierrez and Kevin Aguilar — do we need to know these names? Henderson: The obvious choice here is Shevchenko. Antonina is the sister of women’s flyweight title hopeful Valentina Shevchenko. She already has a fan base and a presence in the organization thanks not only to her last name, but also as a result of an outstanding 39-1 mark in the kickboxing realm. Shevchenko did have to settle for an unusually high number of decisions early in her MMA career, but she blasted her way through Jaimee Nievera on Dana White’s Tuesday Night Contender Series and finally appears to be comfortable in her new(ish) combat sport. She has a tough, yet winnable, fight against Ji Yeon Kim. If she impresses here, she could be on the fast track to joining her sister as a star 125-pounder. The other UFC rookies are all interesting. Shahbazyan is a wrecking machine who also claimed his roster spot with a win on DWTNCS, and he has what should be a spotlight affair against Darren Stewart. 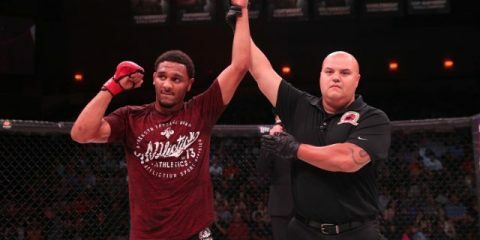 The 24-year-old Roberts has a DWTNCS win to accompany a victory under the Bellator banner, and the undefeated fighter draws Darrell Horcher for his Octagon debut. Gutierrez is probably the most ill-fated of the bunch, given his pairing with Raoni Barcelos, a former Resurrection Fighting Alliance champion. Kevin Aguilar, another DWTNCS alum and a former Legacy Fighting Alliance champion, is another great bet to go far in the UFC, even if he stumbles against Rick Glenn. Petela: This is an impressive crop of new fighters that the UFC is showcasing at the TUF 28 Finale. So close to the end of the company’s deal with Fox, it would have been easy for the promotion to slack off with match-ups between fighters who might not necessarily belong under the UFC banner. This isn’t the case, though. Most, if not all, of these competitors have a chance to make long runs on the biggest stage in the sport. Outside of Shevchenko, who, as previously mentioned, has gained much notoriety recently due to both her performance and her bloodline, the most intriguing fighter to watch is Roberts. He is a young man, and even with only six professional fights under his belt, he already stands has the potential to become one of the standout up-and-comers in the lightweight division. At 6-foot-1, he is a tall lightweight who has used his size to keep his record spotless, with an even mix of three knockouts and two submissions. His opponent, the aforementioned Horcher, is most known for stepping up on late notice to face Khabib Nurmagomedov in 2016 after Tony Ferguson was forced to pull out of the still highly anticipated showdown. Nurmagomedov may have dominated Horcher in a one-sided fight, but Horcher is no slouch. Despite an 11-month layoff after dropping a decision to Scott Holtzman, Horcher is not the easiest match-up for Roberts in the latter’s Octagon debut. Despite the stiff competition Roberts faces in Horcher, this will turn out to be the coming-out party for Roberts. 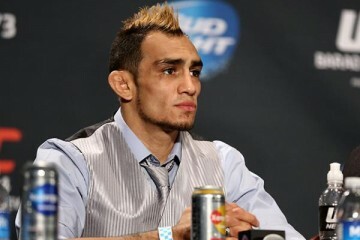 Plenty of lightweight contenders will be less than thrilled if the UFC calls them with an offer to fight Roberts next. Petela: This fight card is not garnering much attention in the media, as it occurs just a day before the Fight Night event in Adelaide, Australia, and therefore most of these fights could be somewhat considered “sleeper” match-ups. One of the most intriguing bouts is the flyweight contest between Joseph Benavidez and Alex Perez. With the fate of their division very much up in the air, a standout performance for either man will do wonders for their negotiating power and marketability, whether that means moving up to the 135-pound division or seeking premium compensation in another organization. Benavidez has been a staple at the top of the flyweight division since its inception. Prior to his split-decision loss to Sergio Pettis, he had only been defeated by two of the best pound-for-pound fighters in UFC history, Demetrious “Mighty Mouse” Johnson and Dominick Cruz. The loss to Pettis was a closely contested fight, and Benavidez did not look terrible for a man coming back from a knee injury and an 18-month layoff. He even has a victory over current champion Henry Cejudo. Perez has looked great since making his promotional debut just over a year ago with a submission of Carls John de Thomas after earning a contract with a submission over Kevin Gray on Dana White’s Tuesday Night Contender Series. Since then, Perez has scored a unanimous decision over Eric Shelton and a first-round knockout of Jose “Shorty” Torres. The 26-year-old will be no easy task for Benavidez, 34, who is fighting a few short weeks after his scheduled bout against Ray Borg at the UFC’s 25th anniversary show was canceled when Borg pulled out of the contest. Look for this to be an exciting fight that could be either the launching point for a new star in the lighter weight classes or evidence that Benavidez has a few more tricks up his sleeve before he calls it a career and eventually makes his way into the UFC Hall of Fame as one of the best fighters never to claim a championship belt. Henderson: I certainly can’t argue with that pick. In fact, it would have been mine, had my colleague not mentioned it. There are actually a lot of interesting pairings on this card, but let’s go with the clash of welterweight veterans Tim Means and Ricky Rainey. This could be a truly entertaining bout. Means has to be in desperation mode at this point. There was a stretch when the “Dirty Bird” had built up a nice little 6-1 run inside the Octagon, but then came a no-contest and subsequent defeat at the hands of Alex Oliveira to kick off a tough 1-3 skid. Means is an entertaining fighter who likes to punish his opponents. His two most recent defeats only came by split verdict, so he hasn’t been thoroughly dominated. Rainey tends to have a chip on his shoulder. The 35-year-old has been fighting at the professional level since 2011, but a few setbacks have cost him momentum and cast doubt on his ability to get the big wins. However, he’s proven his critics wrong on enough occasions to land inside the UFC. Rainey’s losses have come against the likes of Dhiego Lima, Michael Page, Chidi Njokuani and Muslim Salikhov, but he also holds wins over Andy Murad, Jesse Juarez and Gilbert Smith. Means always seems like a very long welterweight due to his lanky frame, but Rainey actually holds a large reach advantage in this contest. “The Sniper” has seven knockout victories, but he’s also suffered three knockout losses. Means and Rainey could end up in a war on the feet, which is always great news for fans. Henderson: The future. For one, this card has a ton of interesting rookie additions to the UFC roster. Second, it puts the spotlight on Kamaru Usman, who has quietly climbed the ladder and could be a staple near the top of the welterweight division for years to come. Finally, this also marks the next step for the UFC’s The Ultimate Fighter brand. Just a few months ago, UFC President Dana White announced the closing of the TUF gym, but he also declared that the reality series would survive the move from Fox Sports to ESPN. This card is a table-setter for the future, both for fighters and the UFC. Petela: A four-pack of Downeast Cider’s Original Blend hard cider. Much like many of the fighters on this card, the small New England cider house is set to make waves in the industry and grow exponentially in popularity over the coming months and years. As the cider company nears the end of its seventh year in existence in April 2019, it has expanded from New England throughout the East Coast, and I expect the fighters making their way up from the regional circuit to make just as big a splash as they hit the biggest stage in MMA. I’ll be a fan of the cider and the fighters for years to come.